Hawthorn coach Alastair Clarkson wishes he had managed to keep walking in the face of harassment from Port Adelaide fans on Saturday night. Clarkson has been engulfed in controversy since footage emerged of him forcefully shoving a Port fan who yelled in his face as he approached the team’s hotel after the Hawks’ tense loss to the Power at Adelaide Oval. 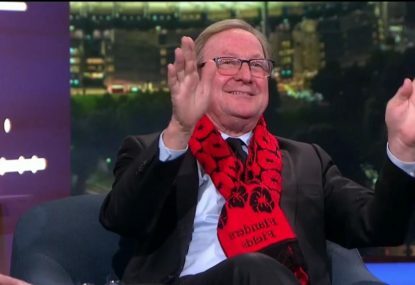 The premiership coach said that he had little other option but to lash out as he tried to ensure his personal safety when he appeared on Channel Seven on Sunday. 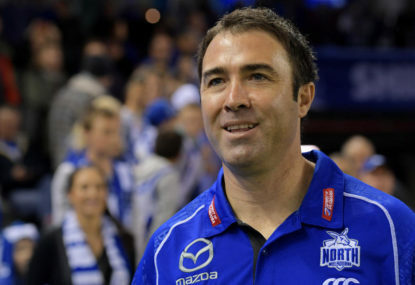 Clarkson received plenty of support for his actions from sympathetic fellow coaches and sections of the media, but he expressed his regret in a statement released on Monday night. “Over the past 24 hours, I have had time to reflect on an incident in Adelaide that I was involuntarily involved in,” Clarkson said. “As a father, coach and leader I acknowledge that I am in a position to set an example for the community. “Having been confronted and threatened by a group of intoxicated men and after politely asking several times for some space, I regret that I pushed away one particular individual. 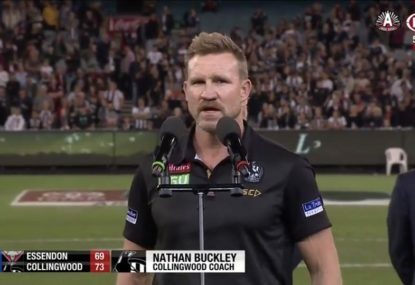 The AFL flagged a security review following the incident. AFL football operations manager Mark Evans described it as regrettable but will wait for a South Australian police investigation to conclude before taking any action. Evans said it was a difficult situation for Clarkson. “It’s not normal for someone to act in this way and (it is) probably regrettable,” Evans said in comments reported on Monday by afl.com.au. “I’m not sure that we would like to see that sort of reaction. 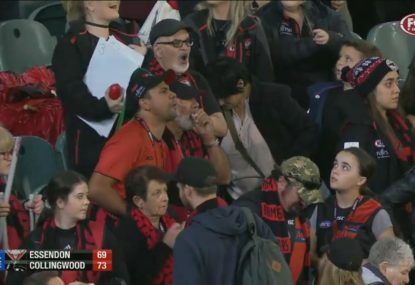 The issue of player and coach safety was further highlighted on Monday by the emergence of footage of Carlton star Chris Judd being accosted by an angry Essendon fan in Lygon Street. Judd told Channel Nine that he feared for his safety, but felt he couldn’t defend himself for fear of creating a media storm. 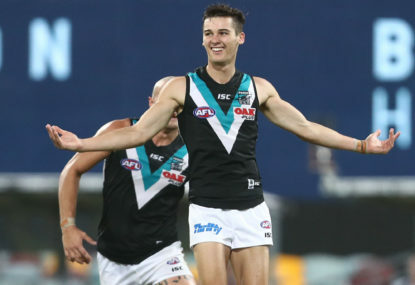 The reigning premiers will travel to Geelong on Sunday to take on the competition leaders in what is shaping up to be one of the biggest games of the round.